In Seychelles, the company secretary confirms that the business follows the applicable legislation by keeping the board members briefed on the legal responsibilities in the firm. One should know that the company secretary has no connections to the secretarial role in a business, and complete information in this matter can be obtained from our company formation agents in Seychelles. What does the company secretary in Seychelles represent? Any company in Seychelles must appoint a company secretary who is a natural person, no matter the nationality, and who will act as a representative of the legal documents in the firm among many others. He/she must communicate with the stockholders in matters of company records, annual accounts, and must ensure that the company’s business is directed in compliance with its purposes and activities as stipulated by the Memorandum of Association. The same company secretary in Seychelles must prepare the agenda of following board of managers’ meetings and need to keep records of the entire proceedings. 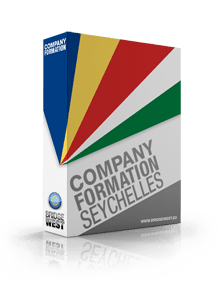 For a better understanding of the responsibilities of the company secretary in Seychelles, our specialists in company formation in Seychelles can offer complete information. - to shelf companies purchased to trading on the Seychelles market. Offshore companies in Seychelles do not require a company secretary. - legally sign the statutory returns and applications in a company. One should know that the company secretary in Seychelles needs no specific qualifications but should have knowledge and experience in such area. The representative will perform the activities under a legal employment contract where all the responsibilities in the firm are mentioned. it is cheaper to hire a company that provides nominee secretary services than hiring a person in this position. We invite you to get in touch with our company incorporation agents in Seychelles for complete information about the role of the company secretary in Seychelles.